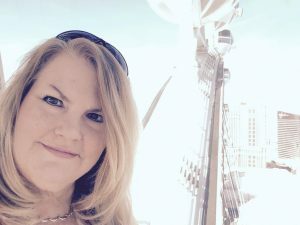 Originally from the Philadelphia area, Sandi was graduated from Shippensburg University and spent her first career as a high school English teacher with positions in both Delaware and Hawaii. She has a younger brother and two sisters. She and her husband Clint have been married since 1986, and for years she traveled the globe with him for his Army career, living in such far-flung places as Hawaii, the Mojave Desert in California, Washington DC, and Germany. Sandi felt the call to the ministry many years ago, but could not act upon it until her husband separated from the military. In 2007 Sandi was graduated from Asbury Theological Seminary’s Orlando Campus with her MDiv. Preparing for the chaplaincy, she completed four units of Clinical Pastoral Education through both Tampa General Hospital and Banner Good Samaritan Medical Center in Phoenix. She served as a chaplain on the Beatitudes Campus for seven years. A member of CCOV UCC since 2007, Sandi has frequently filled the CCOV pulpit and is thrilled to be serving consistently now! Sandi and Clint have one grown daughter, Noelle, and they have a dog and two cats. Her passions are God, family, writing, travel, cooking, swimming, and hiking. Dr. Wing is a gifted preacher, administrator, mentor, and teacher. He believes in parish ministry as the “place where theological thought joins with willing hearts to meet the terrible brokenness in the world.” He has echoed the words of Thomas Merton who said that God is revealed to us “in scripture, inside ourselves and in the face of the stranger.” Dr. Wing insists that the renewal of the church will come when we unpack and reflect on these three revelations of the divine. In 1986, he was selected by Dr. Scott Peck to be one of the original 18 Community Building Workshop Leaders throughout the United States. He has training in Youth Effectiveness and Stephen Ministry. In March 1996, Dr. Wing was inducted into the Martin Luther King, Jr. Board of Preachers at Morehouse College in Atlanta, Georgia and preached in the chapel in 1997. Dr. Wing was the keynote speaker at the Epworth Community in Ludington, Michigan in July of 2000. He was Preacher of the Week at the Lakeside (OH) Chautauqua in August 2000 and Chaplain of the Week at the Chautauqua Institution (NY) in July 2002. In March 2001, he had a sermon distributed through the Walter Scott Society Library of Preachers and has preached as part of the “Great Preachers Come to Sebring” series. He also appeared on the Chicago Sunday Evening Club’s Thirty Good Minutes. While in Columbus, Ohio, Dr. Wing was the host and preacher for First Edition, a weekly Sunday morning program originally on the ABC affiliate WSYX TV and WWHO-TV (The CW). 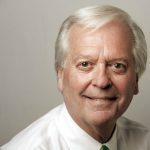 Shortly before his death in 2005, Dr. Scott Peck asked Dr. Wing and First Community Church to collaborate with him on the development of a program that came to be called Faith and American Politics. Five hundred church members piloted the course as a Lenten. Dr. Wing’s travels include work camps for the poor in Mexico and Jamaica; tours of Europe, Israel, India, a speaking tour of South Korea, and extensive travel throughout the United States. His 2002 sabbatical took him to Spain, Portugal, Tahiti, and Australia. In 2006 he helped launch a facility for children orphaned by AIDS in Kenya. His sabbatical in 2009 was spent writing a book titled, FINDING YOUR LAMBARENE: Albert Schweitzer for Our Time. In 2010, Dr. Wing visited Peru with World Neighbors and has journeyed with his Rotary group 5 times to Guatemala with the Mayan Family Foundation and World Neighbors. Dr. Wing and his wife, Shirley Evans Wing, were married in 1982, each bringing three children into the marriage: Stephanie Evans, Rich Wing, Debbie Evans, Jon Wing, Kimberly Evans, and Bria Wing. He is a member of Rotary International and enjoys “modestly” playing violin, mandolin, and ukulele. 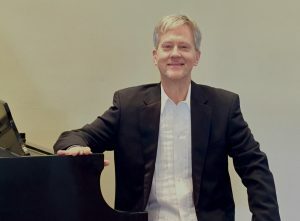 A native of Ohio, Lawrence is currently in his 20th season as freelance principal pianist for The Phoenix Symphony, and has also been a member of the Arizona Musicfest orchestra for the past five seasons. He has appeared as soloist in Gershwin’s “Rhapsody in Blue” with both of these orchestras. He has been heard frequently in Ballet Arizona collaborations with The Phoenix Symphony, most notably as featured soloist for Mozart’s “Twinkle, Twinkle, Little Star” variations and Stravinksy’s “Movements for Piano and Orchestra”. He also fondly recalls his stint as kazoo soloist in The Phoenix Symphony’s performances of Michael Daugherty’s “March of the Metro”. Lawrence’s CD recordings include “Grace Notes”, featuring a variety of solo piano concert music; and “Someone to Watch” with soprano Jenn Raithel Newman. Lawrence’s love of language study led him to an undergraduate degree in German from Case Western Reserve University and a master’s degree in Chinese Linguistics from The Ohio State University. Lawrence has been the rehearsal pianist for The Phoenix Symphony Chorus for the past thirteen seasons. He maintains a private piano studio in Scottsdale. 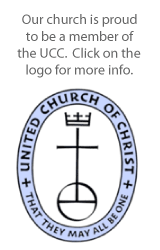 Michelle Conn was hired on November 12, 2012 as the church administrator. 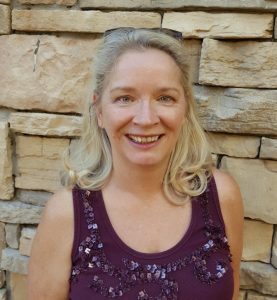 Michelle’s employment history includes many years working as an administrative assistant, including the office administrator for a Zions Bank subsidiary and, most recently, as an administrative assistant to the Division Chair in the Business Resource Center at Salt Lake Community College. She also spent 12 years working in a family business, which was a small hardware store in Idaho. Michelle has spent most of her years in Boise, Idaho and Salt Lake City, Utah. She has three adult children and three grandchildren living in the Intermountain West area. Her pastimes include practicing yoga, hiking the local mountains and traveling whenever and wherever the opportunity arises.